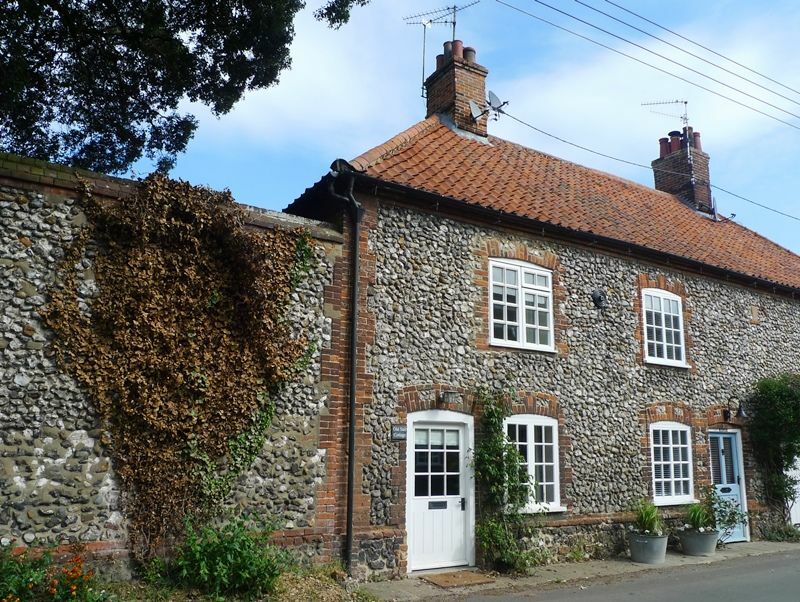 Old Sail Cottage is a quintessential Norfolk flint and brick period end-terrace cottage which has been stylishly refurbished to make a beautifully presented holiday cottage. 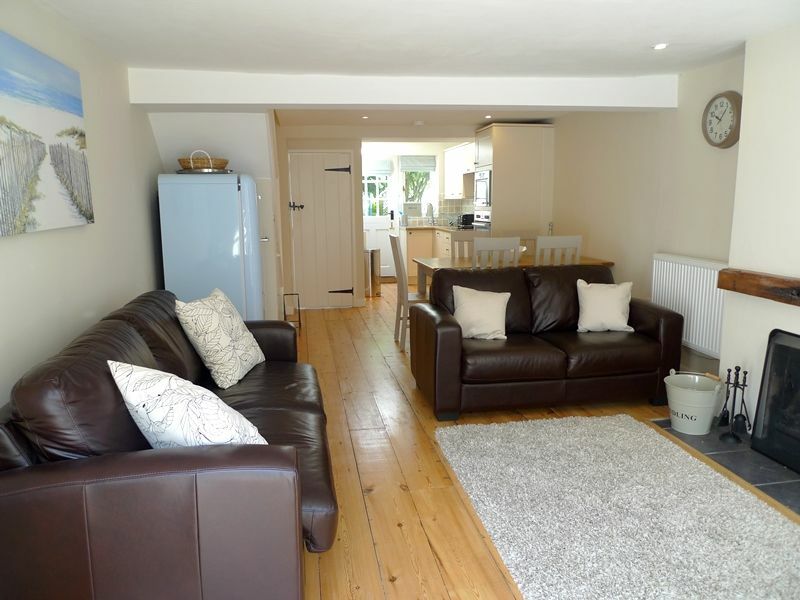 This is perfect for a family or a couple with a light and airy open-plan living area downstairs, and two lovely bedrooms with beamed ceilings on the first floor. 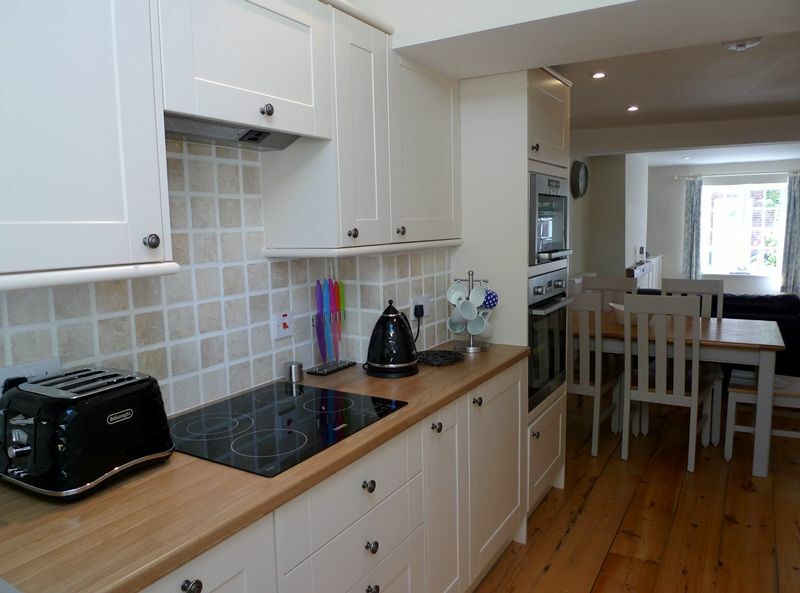 Ideally situated only minutes walk away from Burnham Market's village green and the nearby playing fields, and with a fully enclosed, pretty rear garden. Downstairs has been opened up to create a light and airy open-plan living/kitchen area with stripped wooden floorboards. There is the advantage of free wifi throughout the cottage. 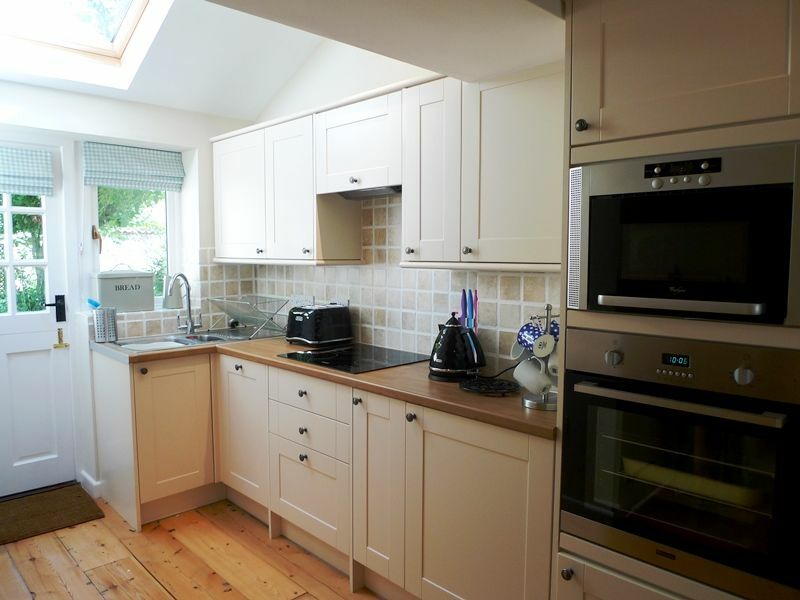 Kitchen area: with cream units and has an integral electric oven, halogen hob, microwave and a slim-line dishwasher. 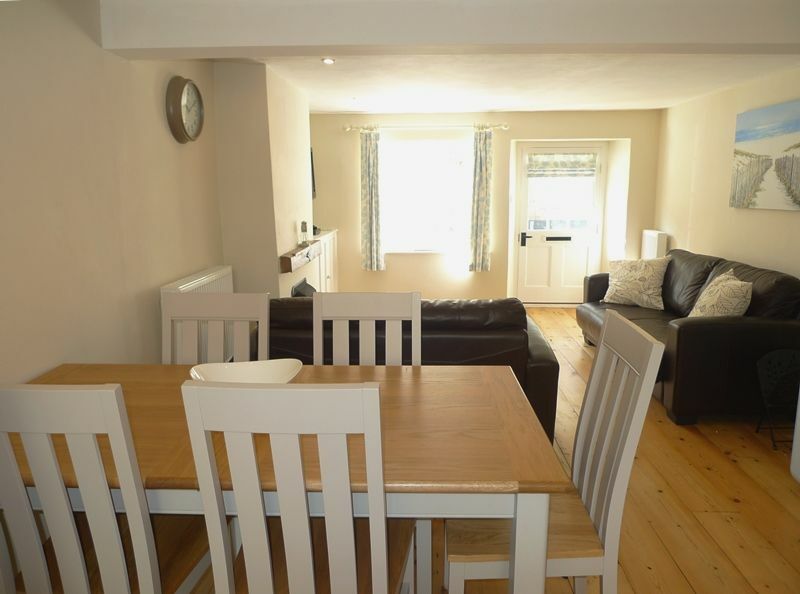 There is a dining table with 5 chairs and a Smeg powder blue fridge (with an ice-box). 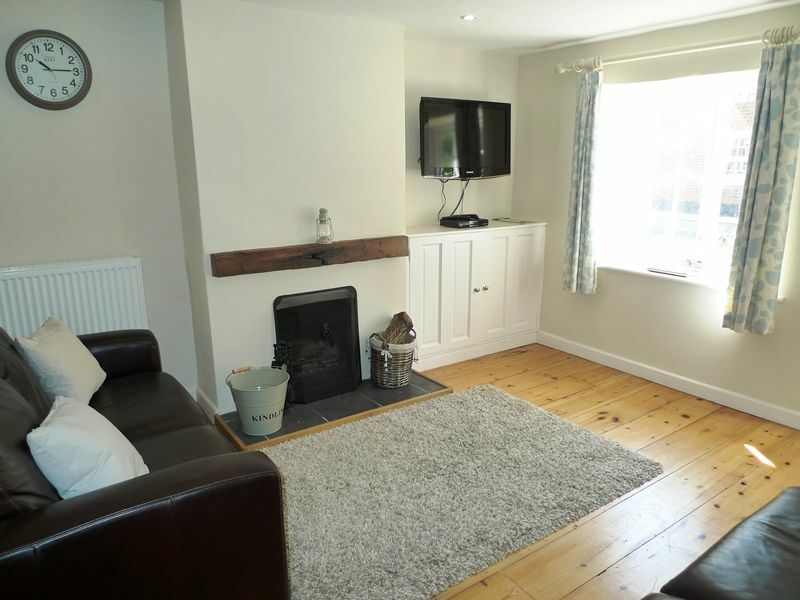 Sitting area: has an open working fireplace, two leather sofas, a wall-mounted digital Freeview TV, DVD player. 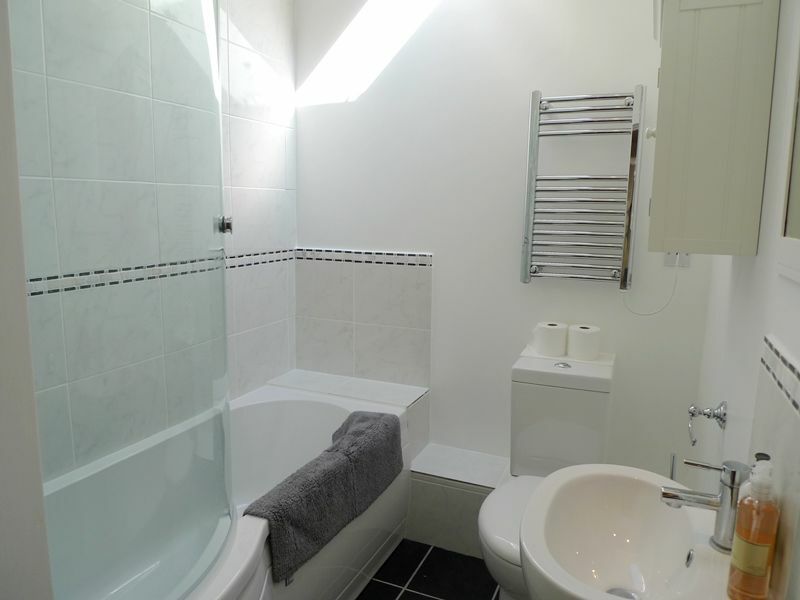 Bathroom: with a bath with a shower over, hand basin, heated towel rail and WC. There is the advantage of underfloor heating. 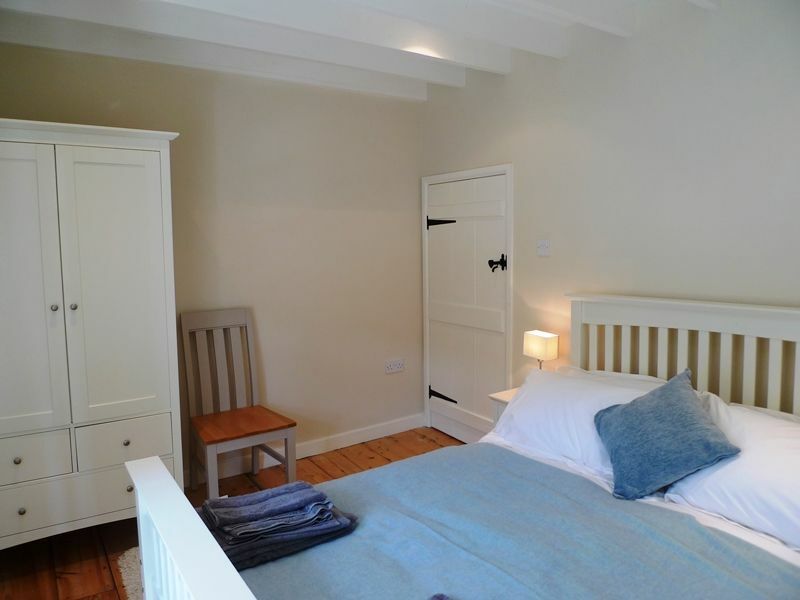 The bedrooms both have stripped wooden floorboards and white painted wooden furniture. 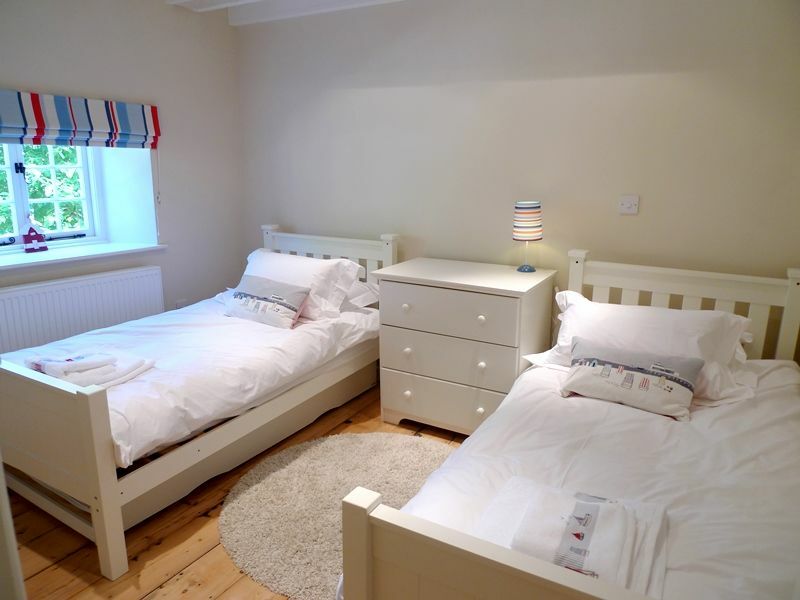 Luxurious bed linen and fluffy towels are provided. Bedroom 1: beautifully presented with a painted beamed ceiling. There's a king-size bed, bedside tables and lamps, wardrobe and a chest of drawers. Bedroom 2: beautifully presented with a painted beamed ceiling. There are twin beds, bedside chest with a lamp and a chest of drawers. Whilst there is no designated off-street parking, there are no parking restrictions and it is usually possible to park outside the cottage. To the rear is a pretty garden which is part patio and part shrub and flower beds. There is a metal garden table with 4 chairs and a barbecue. Please note that the garden is now fully enclosed with a low picket fence and gate along one side and a high chalk wall along the other side. 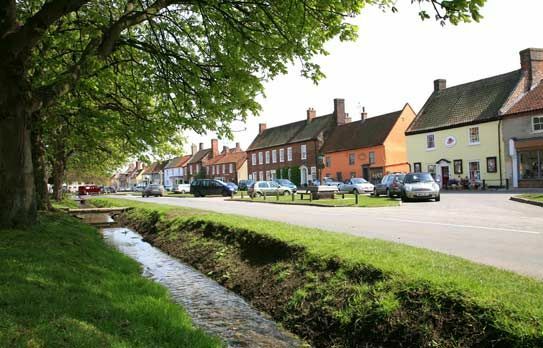 It is conveniently situated only a couple of minutes walk (via a pedestrian cut-through) to the village green with its excellent selection of independent shops and the renowned Hoste Arms. If you continue along Station Road it is only a short stroll to the playing fields where there are tennis courts and a children's playground. Lovely location, cosy and warm. Great friendly service from Sowerby's again! 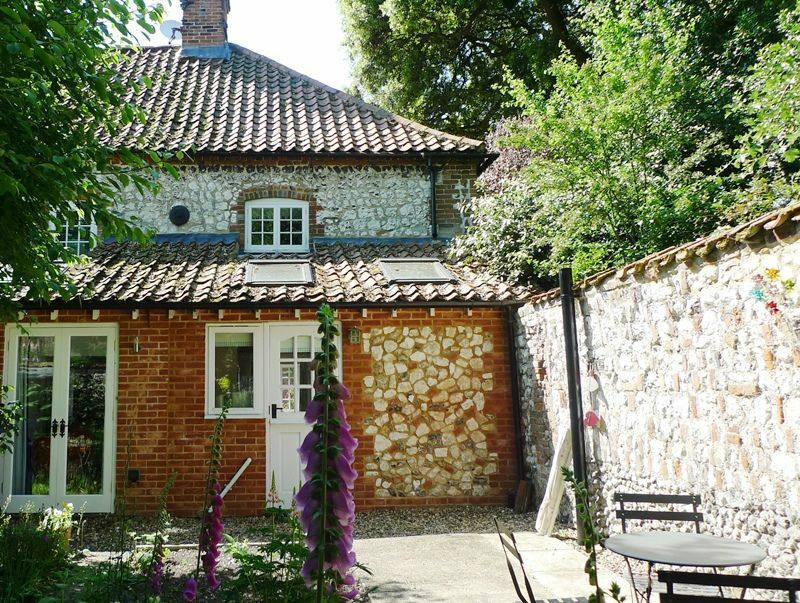 This is a beautiful cottage we would stay again, it is situated in a lovely area and the bed was really comfortable. 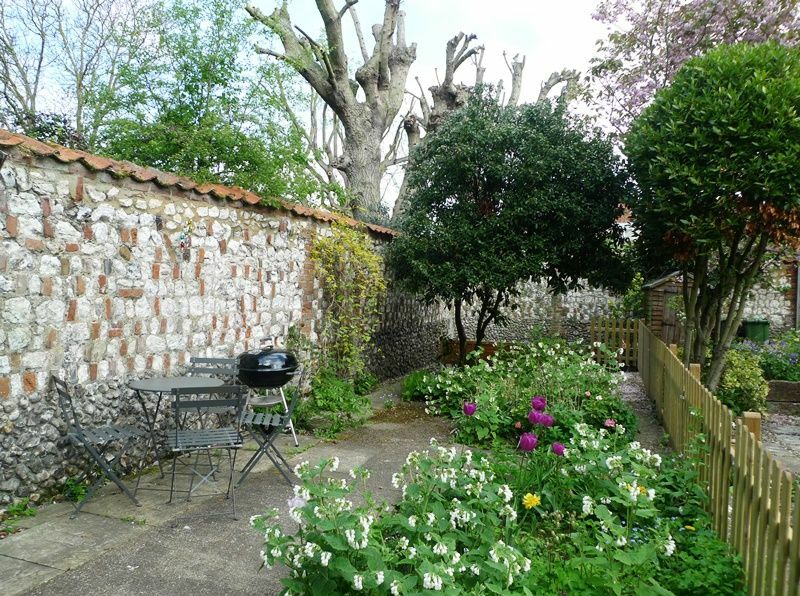 It exceeded our expectations was really clean when we arrived and the garden was great too. 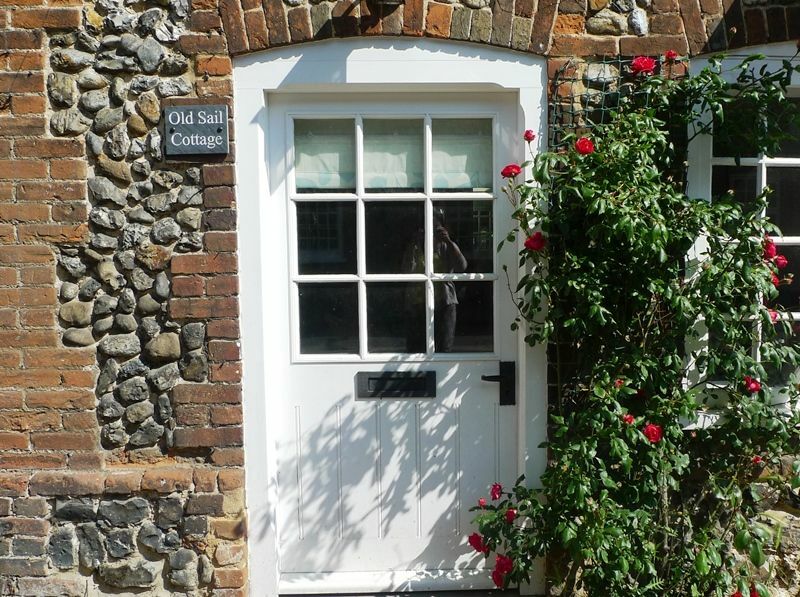 This cottage exceeded our expectations, it was warm and cosy with a lovely relaxing feel. Very well situated in the village. I would not hesitate to use this company again and have already recommended it to some friends.